After leaving Pittsburgh as a military spouse, Kathy returned to the area three years ago and is continuing her real estate career with our team. As an associate broker with twenty-one years in the industry, she has successfully served many clients in new construction, re-sale properties, relocation, and bank-owned/investment properties. Drawing from her own experiences and frustrations in her frequent moves, she is committed to giving her clients superior service and all the information necessary to assist in marketing their home or acquiring a new one while making the process easy and as stress-free as possible. Her goal is to become your trusted real estate professional. Kathy now has the official designation of Senior Real Estate Specialist. She has attended a National Association of Realtors program created to serve clients who are ready to downsize and simplify their lifestyle by selling their current home and moving into active senior communities, co-housing situations, smaller homes, or apartments. 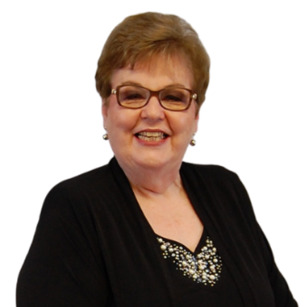 Through networking with professional organizers, estate sale professionals, home repair and household service providers, professional staging services, financial and legal advisers, etc., Kathy is able to refer our clients to assistance beyond the routine sale and purchase of a new home. If you, a friend or relative, are interested in these services, please let us know how she can help.